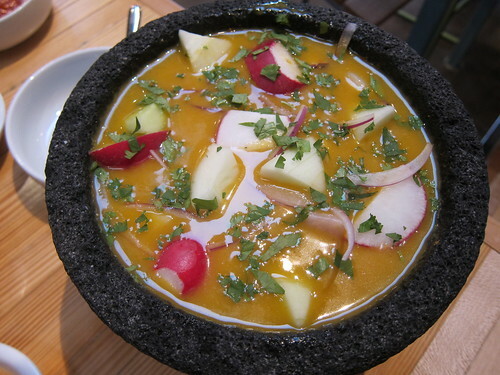 If the former Playa Rivera, as it stood on Beverly Boulevard, offered a somewhat intimidating Mexi-China concept for the price point at which it met its clientele, then perhaps Petty Cash Taqueria will benefit from all the lessons learnt. The menu is streamlined straight toward Baja, peppered with a beverage selection fit to satisfy the fussiest drinkers in LA. While quality ingredients are in the picture, that doesn’t begin to describe how well the tacos and flavor combinations are executed. After all, who else would show the people of Hancock Park that a charred octopus taco is always what they’ve wanted? 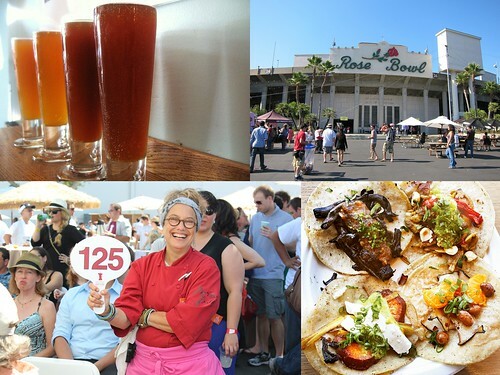 The food festival circuit is a doozy, these days. And with how exhausting each event is, it’s easy to fatigue early on. There’s dealing with the line wait in front of the popular stands, but there’s also the prioritizing that goes on to ensure you’re getting the good stuff before you get full. 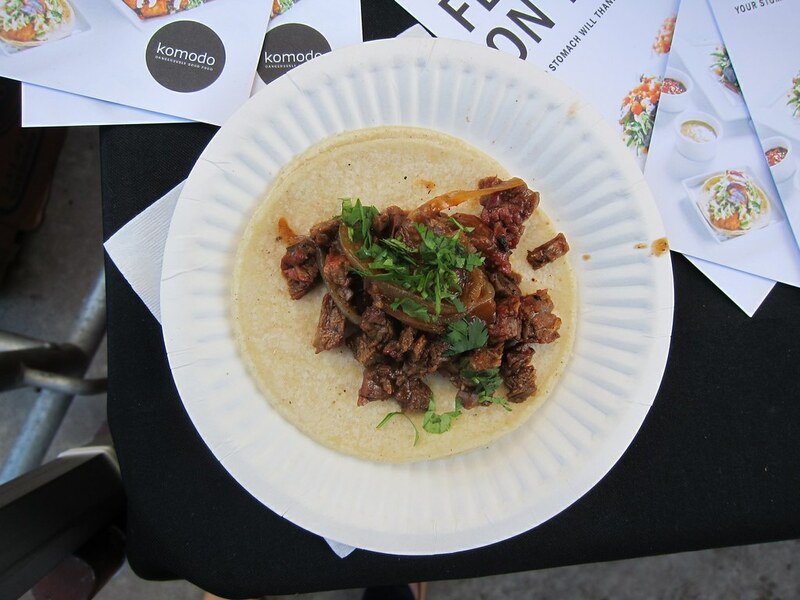 The sold-out Tacolandia stood to be no different. 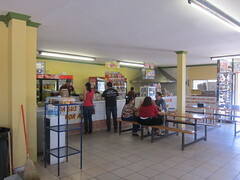 It was a late night in San Felipe when we decided to make probably our 10th stop of the day at El Filete. 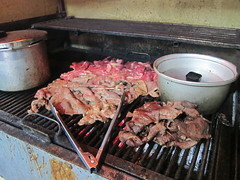 We ordered lips, tripe and carne asada as we were all eager to see what kind of tacos we had in store. Women’s boxing played on the overhead TVs in the heavily flourescent-lit shop, and I admit that I got really into it – including the surprising, Pacquiao-esque, end decision. 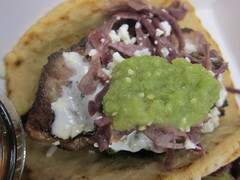 Bill had been on a mission for lips (labio) tacos and was excited El Filete had them. I, though eager to prove that I had no prejudgments when it comes to parts of the animal, preferred the carne asada ones by far. 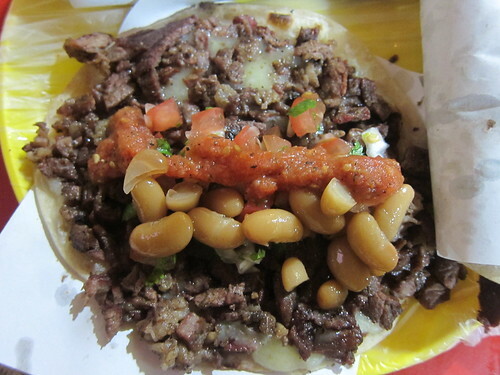 The tripe indeed was flavorful, but I loved how the carne asada really caught the flavor of the mesquite grill. It was also testament to the fact that not all carne asada is the same. There in our van, with exterior temperatures having hovered around 90 to 100 degrees for the 5th and final day, were Bill and his wife Ariana, Barbara, Fiona and I being driven by the tireless, hospitable Ruben. 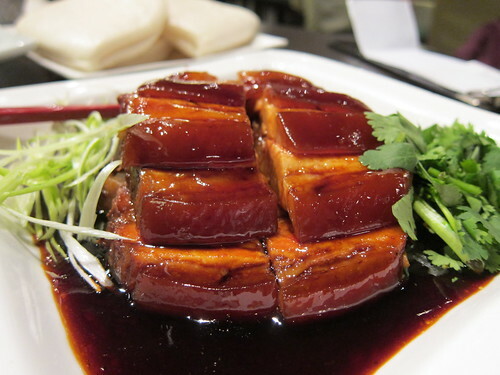 We were heading home from San Felipe on our drive through Baja California, concluding with a jaunt through Mexicali – the Chinese food capital of Mexico – and to Tecate. Then, back to Tijuana. Almost home, but not quite. In between Mexicali and Tecate lies La Rumorosa (in 2001 NYT article), an area named for the sounds made when winds blow through the canyons. You’ll miss it if you blink, but Tacos Lalo is every reason to keep those eyes wide, even if you find yourself there in the blisteringly hot desert in June. Steamed tacos? I had never heard of Tacos al Vapor. 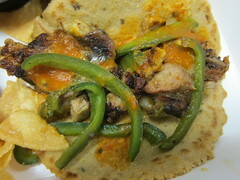 But there they were – surprisingly flavorful and lucious fillings cradled by two damp tortillas. Yes, the damp tortilla thing was new to me, too. But how often have I been non-plussed by a cold, tough (synonymous with store-bought) tortilla? Countless times. 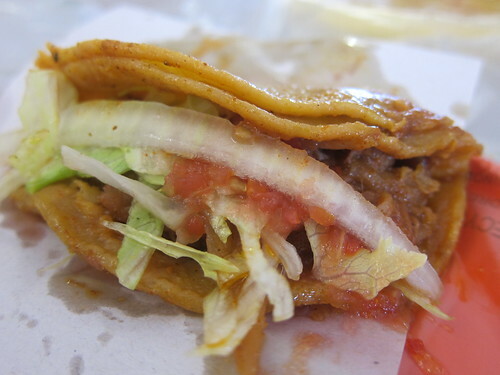 Tacos Lalo tortillas just blended in seamlessly with the braised meat. 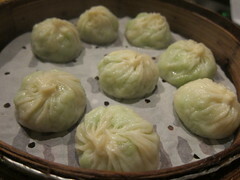 Wet, but also flavorful. There was also just enough potato to fill out my taco without being filler. If you visit, you’ll definitely want to add your share of salsas (I was negligent with my own taco, above) to compliment the über tender meat. I’m all for a ton of raw onions, at the very least. 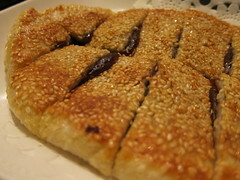 Eat fast, as you do with delicious and greasy hot messes. But wet tacos make a ton of sense in the desert. It’s almost as if you’re simultaneously satisfying your hunger and quenching your thirst with each taco. While you’re there, you might as well stay and play foosball at one of the 3 tables. 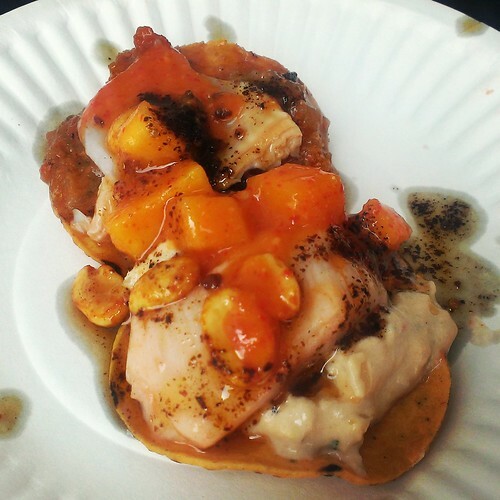 Could there be Tacos al Vapor in LA that even comes close to this execution? With my 9 to 5 located west of Miracle Mile, I’ve had more than my fair share of lunch option challenges. Though many scoff at the food truck phenomenon that seems to never run out of steam, it’s actually been the first silver liningÂ I’ve had since I’ve resigned to witnessing the vast majority of my coworkers with Trimana sandwichesÂ at their desks around noontime. However, the memory of a particular taco plate compostable cardboard box ($7-9 for two tacos and chips) will forever be a chapter in my book of office follies, and the Cochinita Pibil tacos are to blame. Or thank. 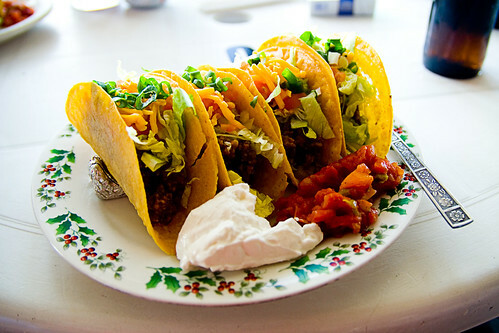 The advice I can offer here is to, upon finishing both theseÂ tacos, go to the bathroom and wash your hands five times. Do not rub your nose with your cross-contaminated, salsa-stained forehand. Do notÂ wipeÂ your forehead, either. Do not pass Go. Not quite sure where that salsa is? A tingling sensation (dubbed: The Tinga Tingle)Â on any given extremity will tell you for sure. But like I said, best wash your hands in case your curiosity does not feel the need to be satiated. Put it in your stomach, instead. My upper lip and the skin lining my nostrilsÂ burned til 4 o’clock. The ego behind my heat-bearing palate became even more defeated when, after doing a search, I found Jonathan Gold made no mention of this salsa when he mentioned these very tacos in his write-up back in September. No matter. 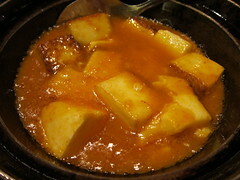 Egos aside, deliciousness typically transcends pure heat. I take that back:Â Bearable heat, anyway, because that burning sensation on my face for the duration of the afternoon sure was distracting. But I digress I’m beating the dead horse. The other favorite pork dish on their menu was definitely the Grilled Cumin & Garlic Rubbed Pork Loin Tacos ($6.50), served with pepper jack cheese, pasillas and salsa. The Flat Iron Steak Tacos ($8.50) came in chipotle tortillas and topped with tomato avocado relish, “dog snout” salsa, pickled red onions, queso fresco and lime chipotle Escabeche. The strips of steak were really the best cuts I’ve had of anyÂ fresh mex in memory. And the quesadilla was amazingly still crisp by the time it got to our destination. The goat cheese melted with chorizo in a quesadilla is perhaps blasphemous to the most diehard of diehards but a nonetheless a brilliant combination. Though I’ve yet to try many of the sides, the Arroz Con Crema ($5) came deliciously roasted and coveredÂ with a not-too-sweet cream. Lime juice is to thank for its twist and tang. Next up: The Dirty Horchata, or horchata with a shot of espresso in it. I’m guessing it’ll be the refreshment to accompany my first dine-in experience at Tinga. There are plenty of other menu selections I’m dying to try, so I’m certainly looking forward to the next adventure a glass of that stuff will be washing down. 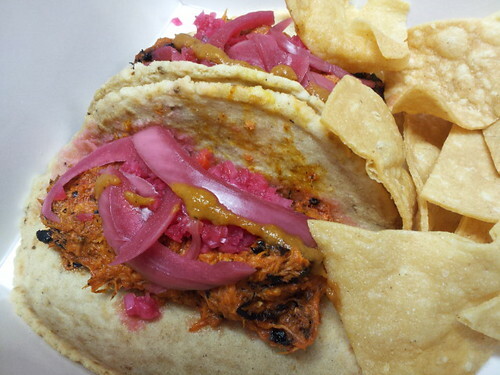 Though I’m loath to call Tinga “Fresh Mex,” I think I’m already too late. I apologize for the Baja Fresh associations, because Tinga is so much, much more than that. 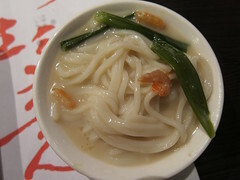 Their food is creative, colorful and best of all, absolutely delicious. It’s a welcome departure from the $1 tacos of York and Breed Street because they’re not even in the same class. Contemporary decor, check. Compostable wares, check. This is Fresh Mex worth appreciating. All taco plates come with 2 tacos and chips. 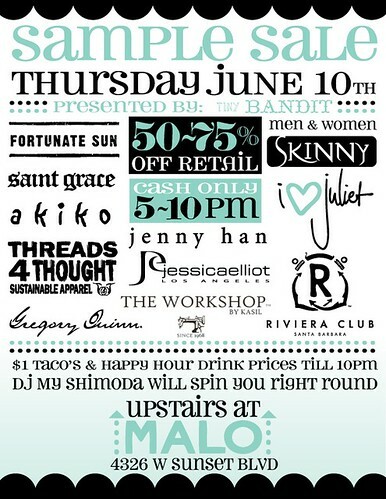 Tomorrow on Thursday, June 10, 2010, Malo Restaurant in Silver Lake will be hosting the third ofÂ Tiny Bandit’sÂ series ofÂ sample sales featuring local threads for men & women. Shop lines from Akiko, Saint Grace, I [heart] Juliet, Jessica Elliot and more. Don’t forget to bring cash for your clothingÂ purchases. Let’s face it: Folks are smart when theyÂ employ “retail therapy” with alcohol. This is not one of those shopping events where you get a gift bag at the end that’s comprised of more flyers and trash than actual schwag. Instead, you get to reap the benefits of $1 tacos and happy hour drink prices ($4-7)Â until 10 PM. Besides, you don’t really even need happy hour to go til close because you’ll probably be broke by then, anyway. 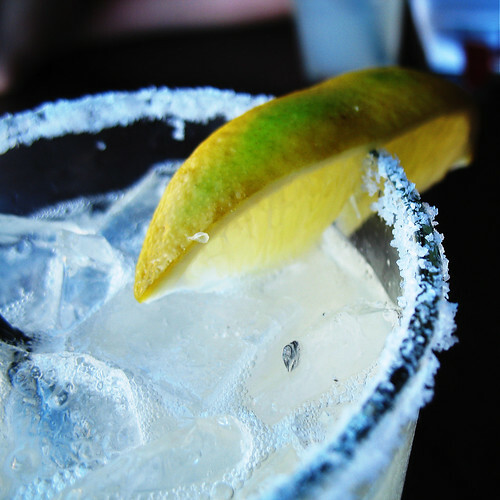 So grab a couple Spicy Cucumber Margaritas and spur on the local economy. 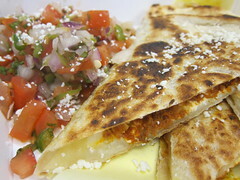 Don’t forget the $1Â tacos, either – besides,Â any seat inside Malo is aÂ lot more comfortable than any couch in the mall.